(2018). The report is part of a project studying the establishment of Chinese development zones and industrial parks in countries of the Belt and Road Initiative. Belarus has accumulated experience in the design and implementation of economic incentives to promote business development, exports and foreign direct investment inflows in the country. 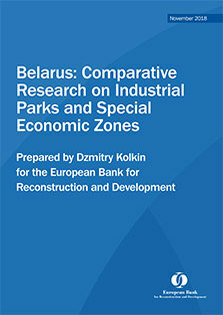 The creation of free economic zones and the High-Tech Parkwere effective policy instruments in the late 1990s and 2000s. The Great Stone Industrial Park is the latest example of the state’s economic policy to boost investments and exports, based on previous Belarusian experience and Chinese development experience on the Suzhou Industrial Park.